Turning 125 is a big deal, so help us celebrate the accomplishments of the past and look forward to the future with these special events on campus. 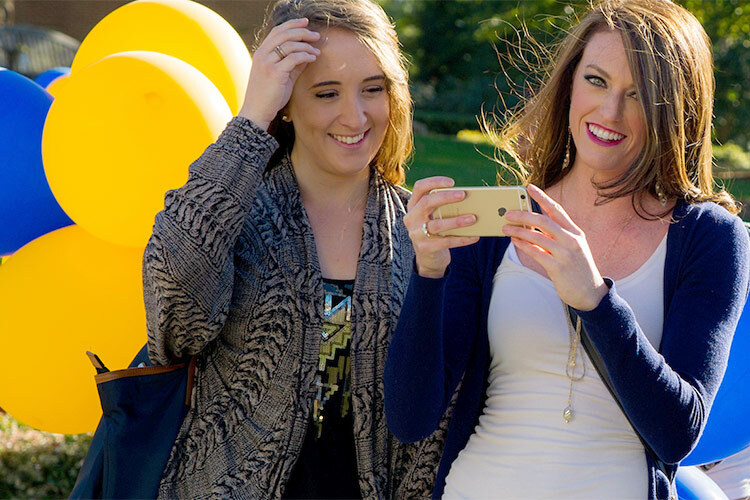 It’s our way of saying “Happy Birthday, UNCG!” and we hope you will join us. Get ready for some Giant Steps! 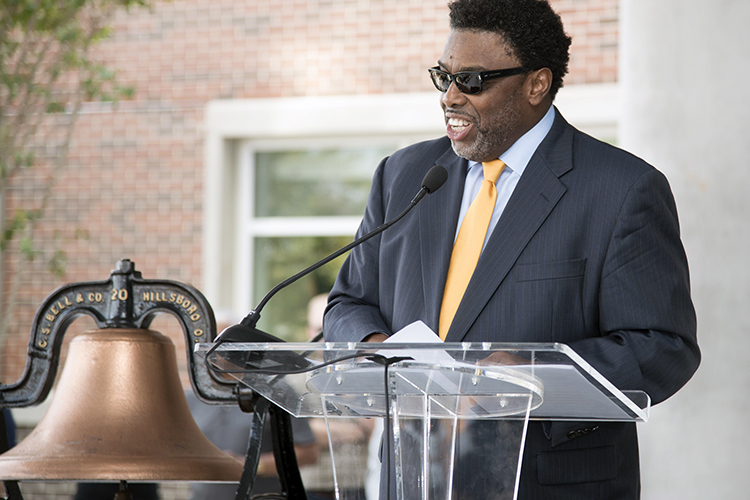 Chancellor Gilliam will discuss his vision for the coming year in the 2017 State of the Campus Address to faculty and staff. 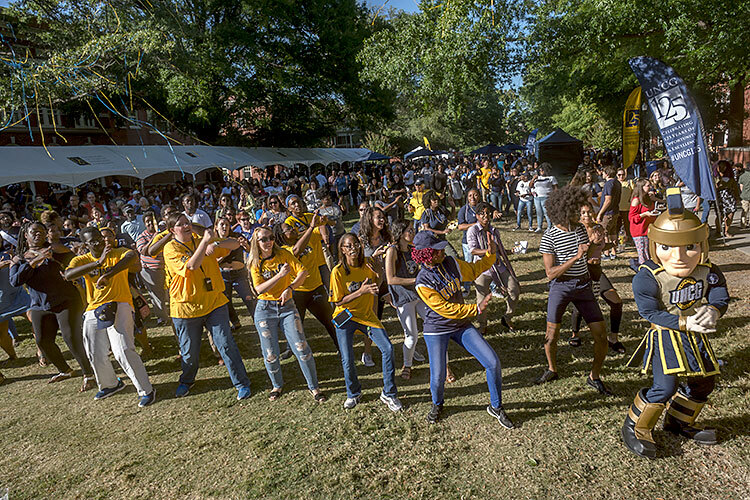 Thousands of UNCG students, alumni, faculty and staff gathered together on Founders Day for a campus-wide Founders Day celebration. Share your photos and videos of your participation in a UNCG tradition for a chance to win a 125th anniversary prize pack! 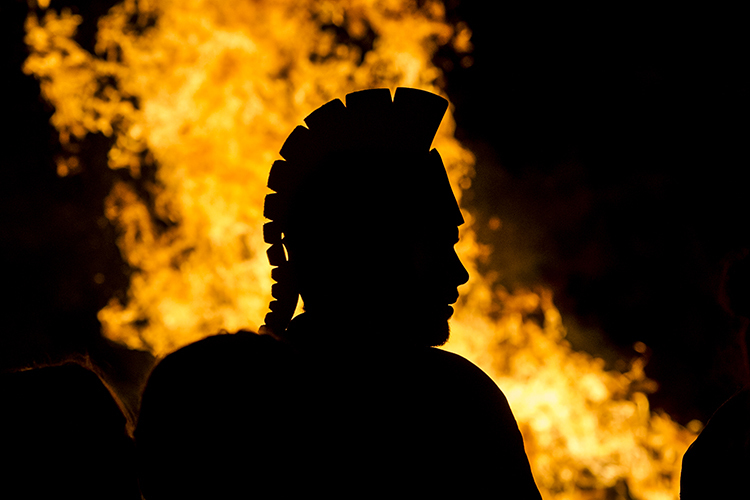 Whether you want to reunite with old friends, run a 5K, see the parade, cheer for the men’s soccer team, or all of the above, Homecoming offers many ways to show your Spartan pride. The annual Believe in the G challenge is a 48-hour giving challenge. 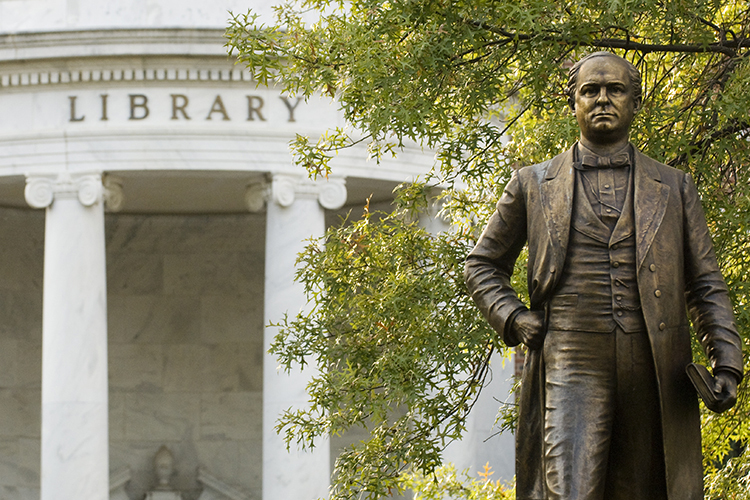 Show your support for the university that has meant so much to so many. 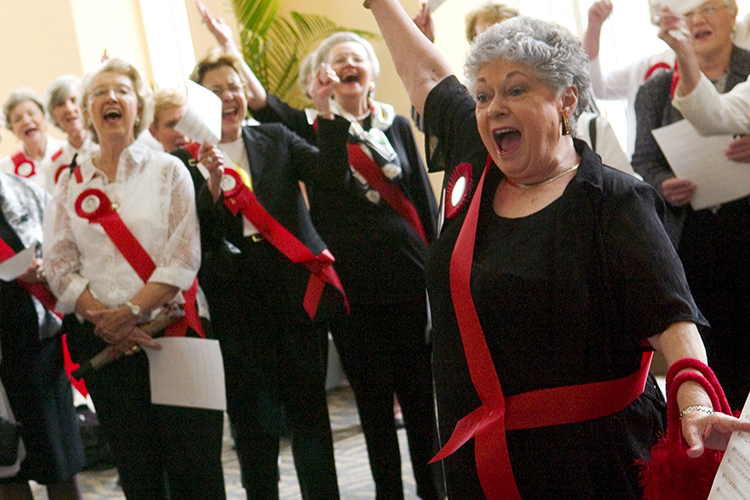 If you are a member of the WC’s Class of 1958 or UNCG’s Class of 1968, this is your weekend! Join us for a special reunion with your classmates.